hot topic polishes are fun but a pain to apply. that little bottle-cap-like black top? is the only "handle" to speak of. so good luck if you have chubby fingers like me. 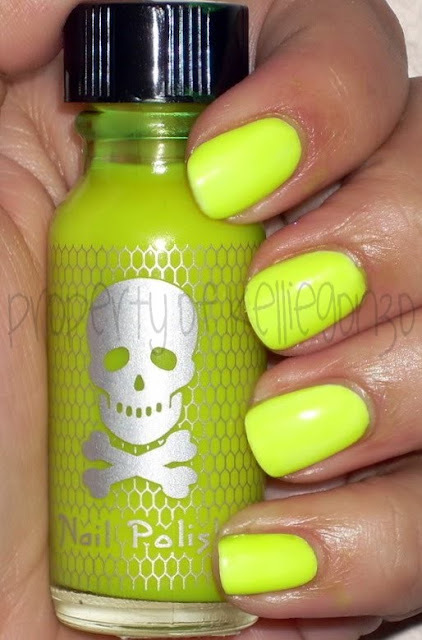 also, this brand tends to smell way worse than most polishes. and they don't name them--that bugs me. but oh well, i end up getting a bunch of them anyway. 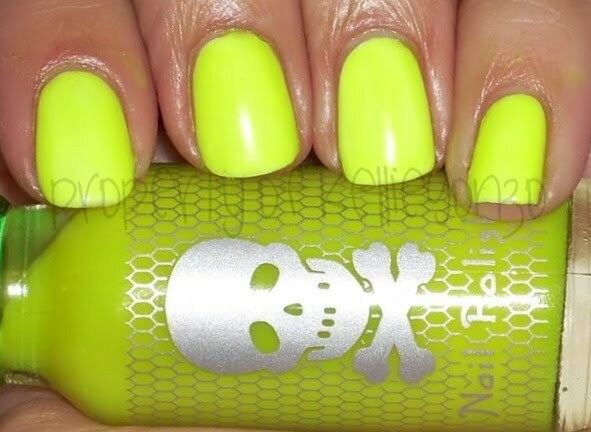 this is probably the brightest neon yellow i have, two coats over one thick coat of essie blanc (white). super fun highlighter goodness.